Swee Hong Lim and Maria Ling were thankful to God for the birth of their first baby after many years of waiting. One day after his birth, the baby stopped breathing, but the prompt action of the nurses revived the baby. In gratitude, Ling wrote this lullaby, and Lim composed the song, whose accompaniment seems to convey a rocking crib. This hymn can be sung as a benediction at the close of a service or as a prayer for sending people off. It could be a fitting blessing to sing as children or youth are dismissed from the service for their own worship. The tune was created initially as a lullaby. However, as a result of God’s providence in the life of our son, Soon-Ti, Maria created the English text loosely around the Hebrew scripture of Numbers 6:24-26. Musically speaking, with the melody having a lullaby nature, the keyboard accompaniment was deliberately kept simple and tender to strengthen the imagery of resting in God. The tune SOON TI was named after our child; it literally means “pure knowledge [of God]” in Teochew (a southern Chinese dialect). 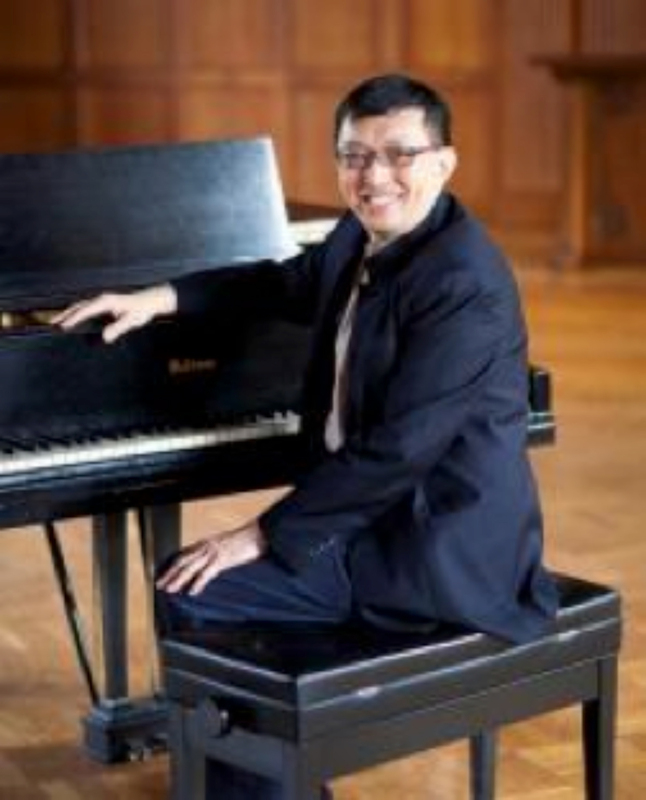 Dr. Swee Hong Lim is the Deer Park Assistant Professor of Sacred Music at Emmanuel College, and the Director of the Master of Sacred Music Program. He also serves as Director of the Chapel for the worship life of Emmanuel College. Your congregation will learn to treasure this benediction. One way to introduce it would be with flute and piano; have it sung twice, first by a soloist, then by all. The accompanist should play very softly until the song “blossoms” at the words “May God’s countenance shine upon you . . .” Also consider repeating that section, perhaps even a bit slower the last time.